"I started Pilates when I was age 69. A lot of people think they’re too old to begin exercising at that age; it’s true that you’ll probably never get your 30-year-old body back but you can feel better on a daily basis!" What I like about Pilates is that I can do it at my own pace. I like the focus, breathing, and the individual attention. It has helped me correct my posture, and other limitations I have.mine highly recommended coming here. I wish I had discovered it years ago! Pilates allows me to pick and choose appropriate exercises and I always end up leaving feeling a little better. The joint pain may still be there, but Pilates helps me with accepting and managing the limitations I have. No matter how I’m feeling, there is always something that’s possible for me to do. That’s what I love. Recently I’ve had a fractured rib and muscle spasms with it. The physical therapist I have been seeing encourages me to stay with the Pilates, just to modify it when necessary. I can do that! I couldn't do all of my exercises yesterday, but I did more today. I enjoy the camaraderie with others in class. We’re focused and concentrated on our own programs, but we’re still rooting for each other. It is a very positive, supportive environment! I often see people you and old, and after observing their gait and thaw they hold their bodies, they make me that that they would benefit from Pilates. Talking with other people my age here at the studio, I hear how much better they feel, and recover from set backs. I would recommend Pilates to ANYBODY. I would love to suggest starting at a younger age than myself, but it’s never too late to correct misalignments, muscle weakness, and to gain the therapeutic outcomes of Pilates. 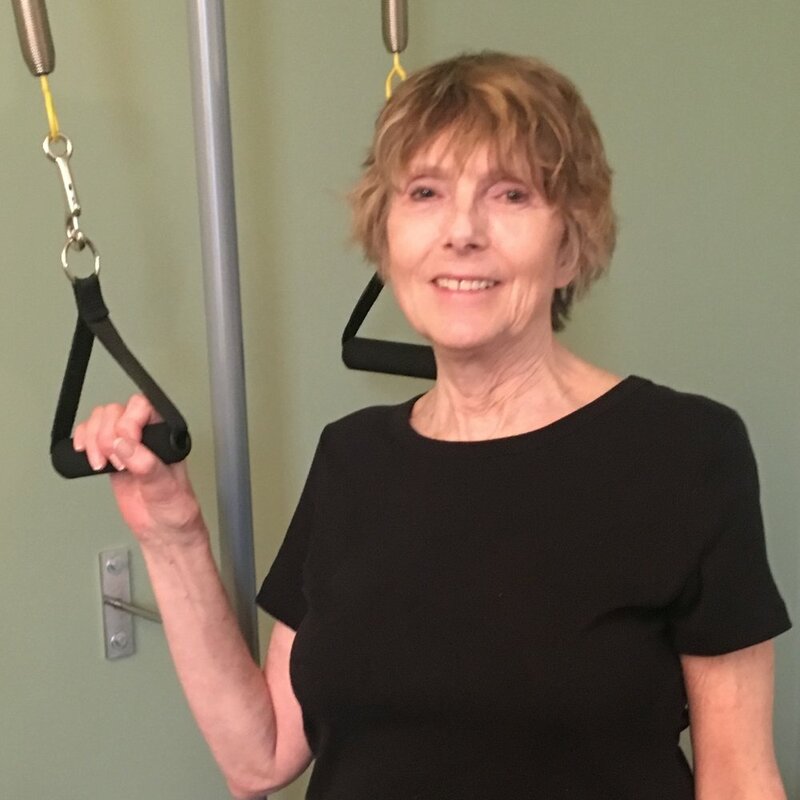 I started Pilates at the age of 69, and I know I will never get back to the 30-year-old body I once had, but I can feel better on a daily basis!"